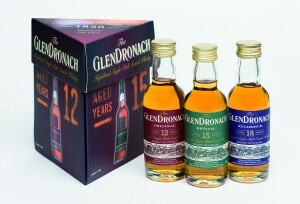 The GlenDronach Distillery patiently matures its single malt whisky in superior quality sherry casks. Over the years of extended maturation, these carefully seasoned casks help create the unique richly sherried style that GlenDronach is famous for. Expect raisiny notes from this sherry casked malt. Not the cheapest, but worth every penny.